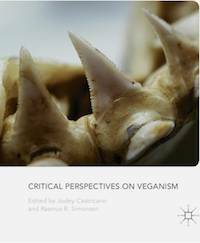 This book examines the ethics, politics and aesthetics of veganism in contemporary culture and thought. Traditionally a lifestyle located on the margins of western culture, veganism has now been propelled into the mainstream, and as agribusiness grows animal issues are inextricably linked to environmental impact as well as to existing ethical concerns. This collection connects veganism to a range of topics including gender, sexuality, race, the law and popular culture. It explores how something as basic as one's food choices continue to impact on the cultural, political, and philosophical discourse of the modern day, and asks whether the normalization of veganism strengthens or detracts from the radical impetus of its politics. With a Foreword by Melanie Joy and Jens Tuidor, this book analyzes the mounting prevalence of veganism as it appears in different cultural shifts and asks how veganism might be rethought and re-practised in the twenty-first century. Jodey Castricano is Associate Professor in the Department of Critical Studies at The University of British Columbia, Canada. Her research areas include 19th century literature and culture, eco-cultures, critical animal studies and eco-criticism. She is the editor of Animal Subjects: An Ethical Reader in a Posthuman World (2008) and a contributing co-editor of Animal Subjects 2.0 (forthcoming 2016). Rasmus R. Simonsen teaches Media Studies and Digital Communication at the Copenhagen School of Design and Technology, Denmark. His research interests cover American literature, queer theory and food studies, and his previous work includes “A Queer Vegan Manifesto” (Journal for Critical Animal Studies, 2012).